£60 for one hour bookings (Any hours post the first hour are much less than the first hour). Most parties require at least 2 hours. 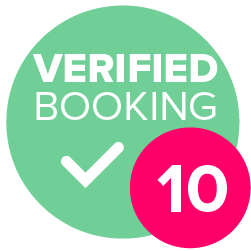 Please get in touch with us for am accurate quote for your event or party! 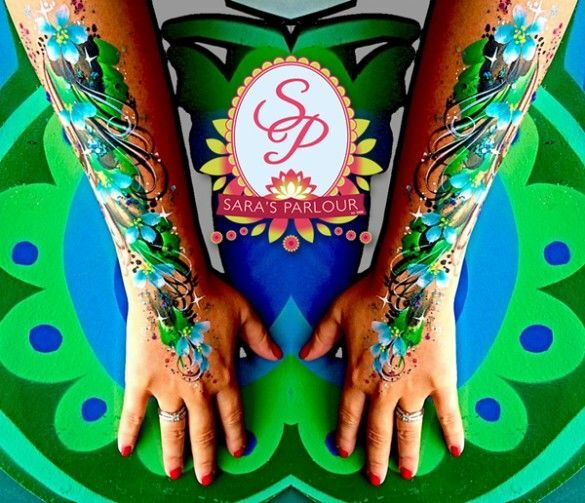 Sara’s Parlour is a contemporary face and body art company based in Birmingham. Established in 2007 - We’re celebrating 11 years this year! 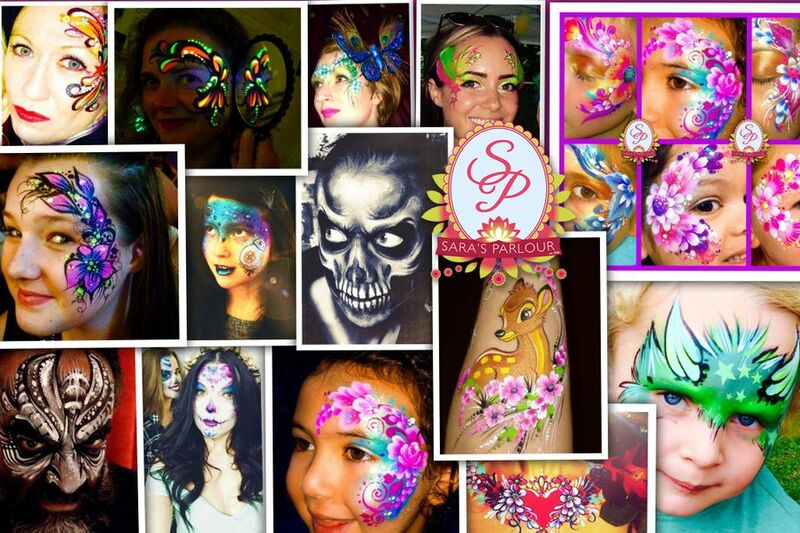 We have worked for CBBC, Britain's Got Talent, Snazaroo (the No1 face paint brand), and many more high profile brands, parties and events! We cater for both children and adults, for events in Birmingham, West Midlands, UK wide, and even abroad! (Please see our client list). They were made to work hard all day but did a brilliant job. 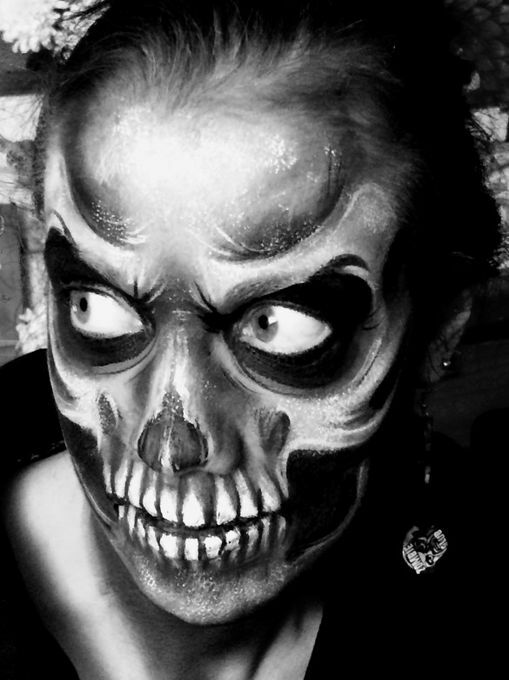 So impressed with the quality, creativeness and detail of the face painting. Booked for my sons 5th birthday and the children all loved their designs. Wouldn't hesitate to recommend or book again. 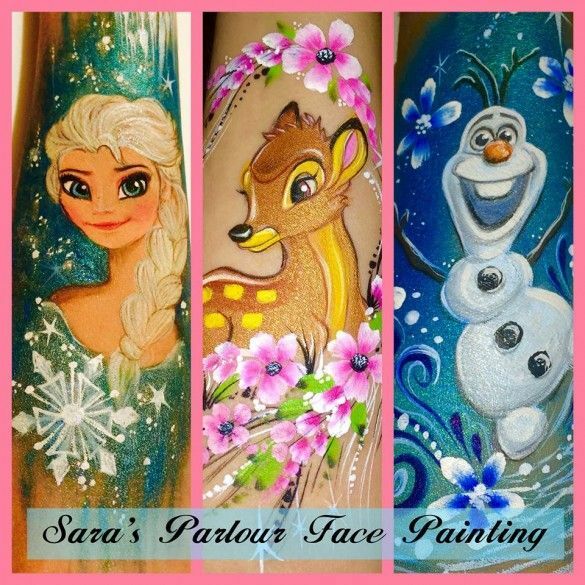 Sara was amazing, really good with the children & her face painting was really amazing, and real value for money, all the children & their parents was so impressed with her work, would definitely recommend her for all children’s party’s. We employed Sara's Parlour for a small family and friends party for my 3-year old nephew; he loved all the silly faces and was fascinated by all the shapes, colours and brushes. Sara spent time listening to what each guest wanted to be transformed into. She was able to paint freestyle without the need for any examples (which was very impressive) and even explained how she did things to the little-ones. They were captivated and quiet as mice watching - and listening - to her paint. 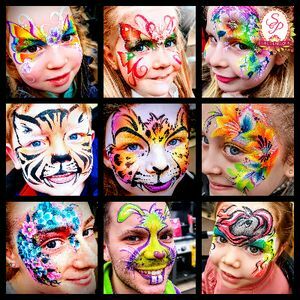 I have ten years experience working as a professional face painter, working for many varied children's centred events, including work for The Rep, Solihull and Birmingham Councils, children's centres and schools & birthday parties.